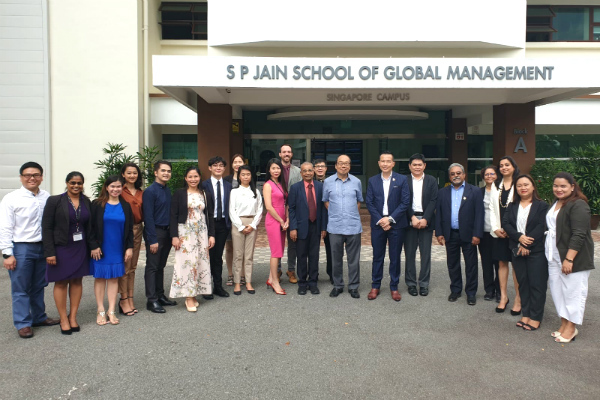 It was an eventful afternoon as Dr John Fong, CEO and Head of Campus (Singapore) – SP Jain, along with the staff of the Singapore campus, greeted His Excellency upon his arrival on the campus. 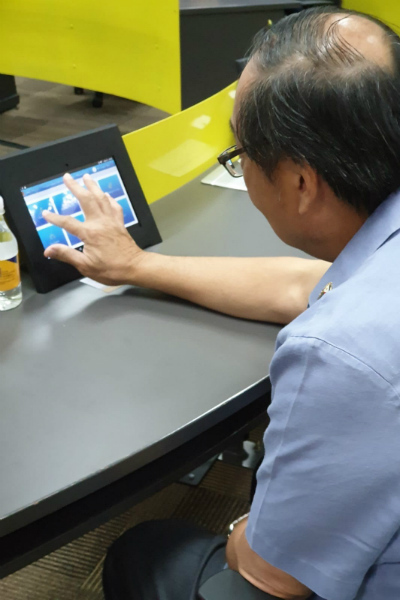 Attended by 30 guests, the session kickstarted with a presentation led by Dr Fong on the Engaged Learning Classroom (ELC), where he spoke about the technology and innovation used in the classroom to encourage a robust and holistic education for SP Jain students. 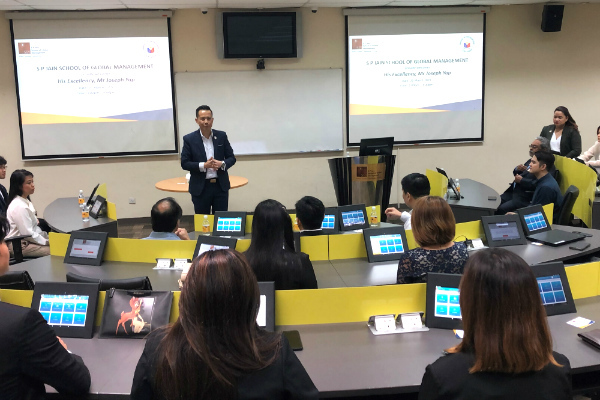 Following that, several Filipino students across various programs, including the Bachelor of Business Administration (BBA), Master of Global Business (MGB), Global MBA (GMBA) and Executive MBA (EMBA), spoke in detail about their experience of studying at SP Jain. 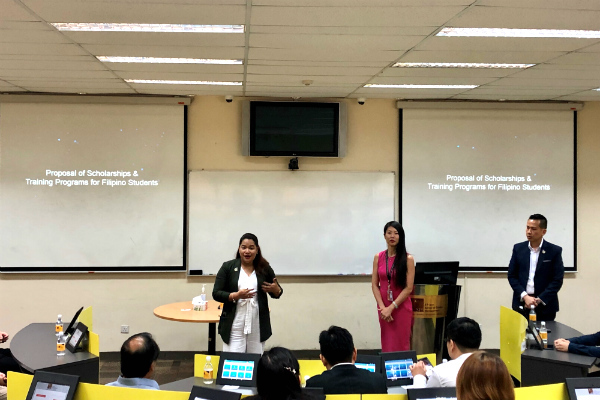 This was followed by a discussion led by Ms Winnie Yong, Head of Marketing and Student Recruitment (Singapore) – SP Jain, and Ms Diana David, Student Recruitment Manager (Singapore) – SP Jain, about scholarship opportunities available for potential Filipino students. 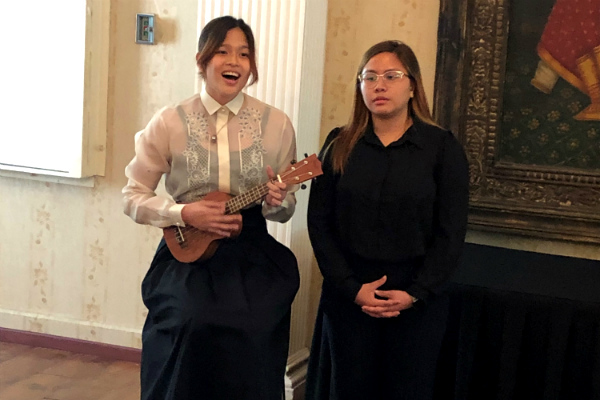 The day concluded on a high note as two BBA Filipino students performed a beautiful rendition of the ‘Kundiman’, a traditional Filipino song, for His Excellency. This was followed by conversations and networking between His Excellency, students, staff and Embassy officials. 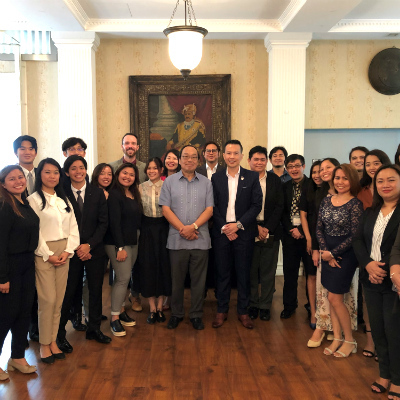 After the visit, His Excellency Mr Joseph Del Mar Yap thanked Dr Fong and the SP Jain Singapore team for hosting him and shared, "I would like to thank SP Jain School of Global Management for inviting us to visit the School to learn more about its programs. I was particularly impressed with the Engaged Learning Classroom (ELC) Technology and would like to commend the School for taking a step in the right direction. 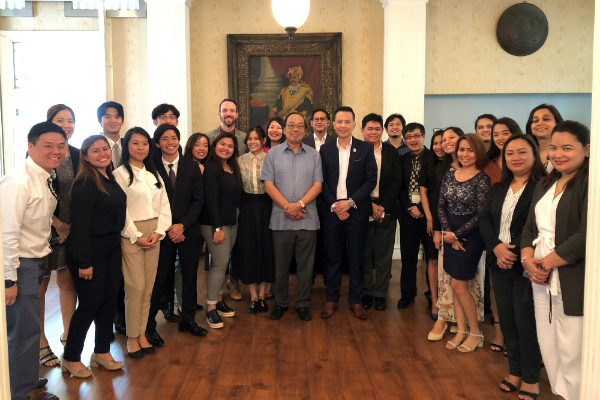 I was also very happy to meet with your Filipino students and scholars and I would like you to know that the Philippine Embassy stands ready to assist SP Jain School of Global Management in its recruitment and educational exchange efforts in the Philippines."